Withings Move allows you to track your activity: number of steps, run tracking and swim tracking. Whether you are walking, running or swimming, you don’t have to do anything to start tracking it. 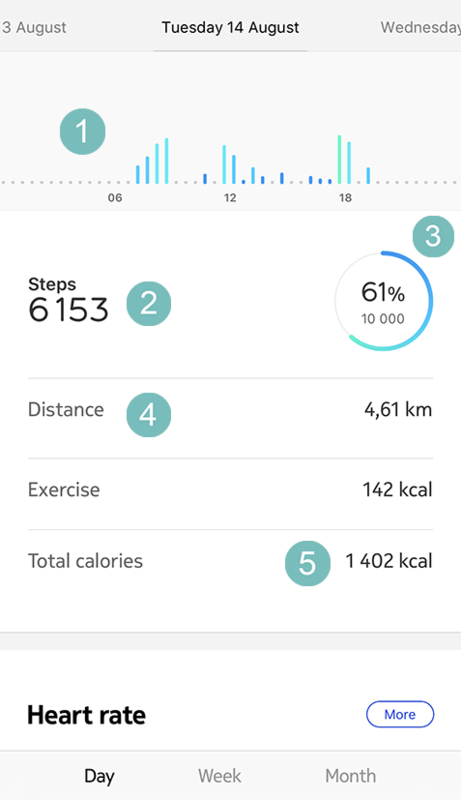 All you have to do is wear your Withings Move, it will do the rest. The integrated accelerometer allows your Withings Move to automatically count your steps and to recognize when you are running. Your running activity, your distance, and your calories are calculated thanks to an algorithm based on your number of steps and your personal data (age, height, and weight). Withings Move - My distance doesn't seem accurate. What should I do?